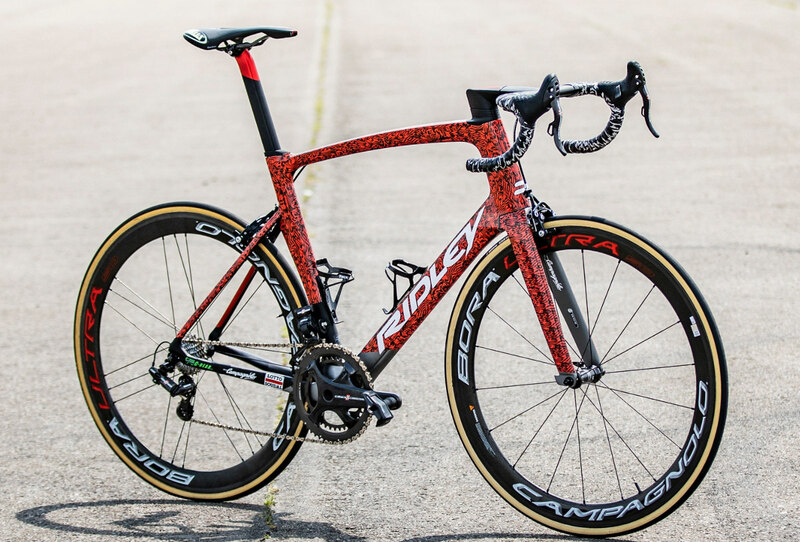 Ridley Bikes is the biggest and most acclaimed cycling brand in Belgium, land of countless fabled riders: the so-called Flandriens. 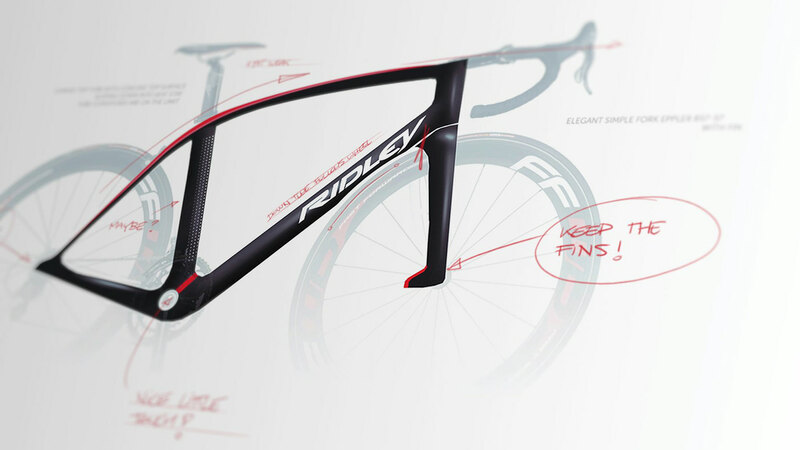 Ridley aims to honour these legends by building incredibly performant bikes and pushing innovation within the sector. 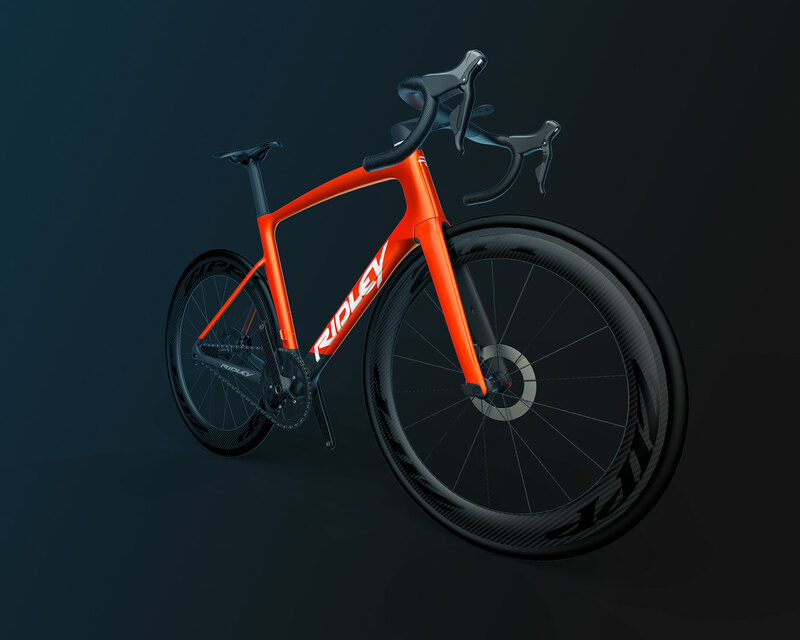 In early 2017, we were approached to be part of the design team for the new Ridley Noah Fast. 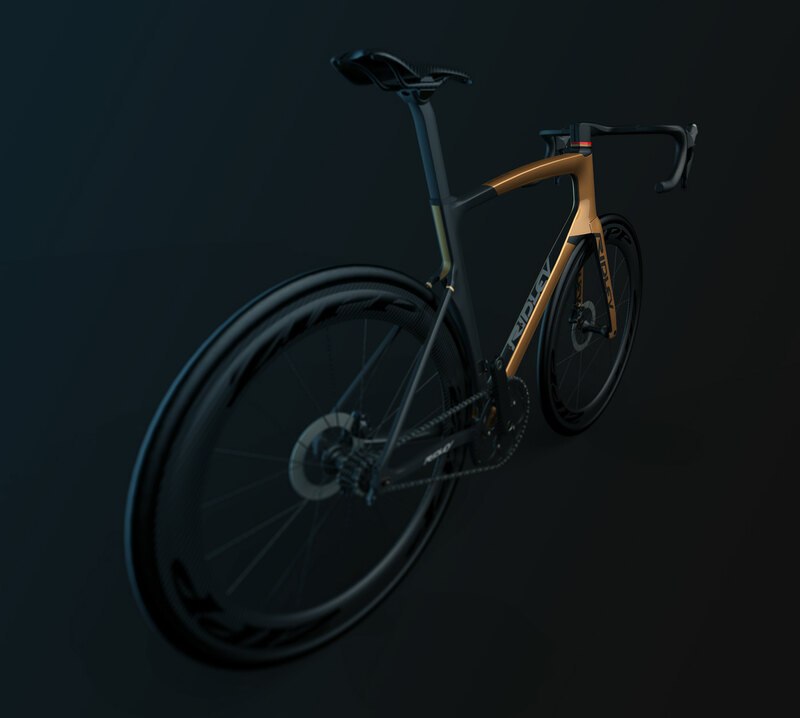 This prestigious project had the aim of designing the fastest roadbike ever built. We gladly accepted. 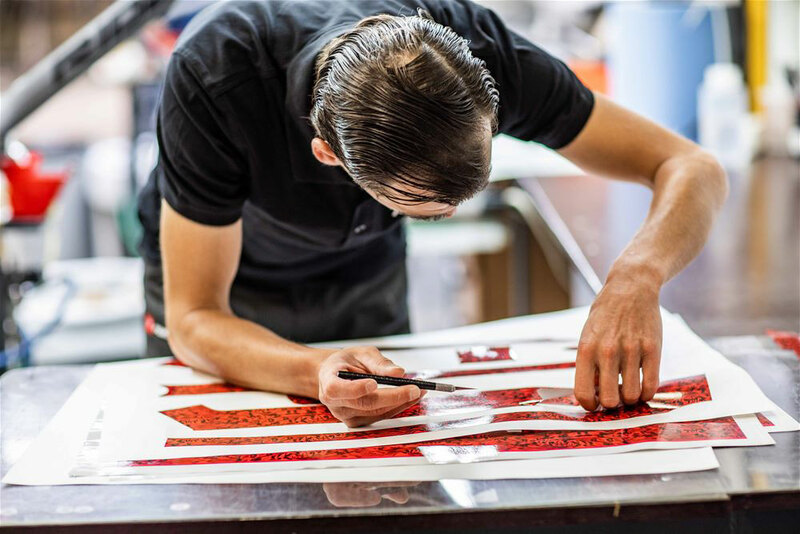 A professional roadbike is built from countless regulations and spec requirements. Thankfully we were given the opportunity to explore different solutions in the early stages of the project. We laid out a large array of possible design directions in the form of sketches and quick 'n dirty 3D models. We would often use models for the critical blends within each frame, to communicate efficiently on the aerodynamic quality/estimated weight of each design. Proper tube sections are the prime ingredient of any professional bike. 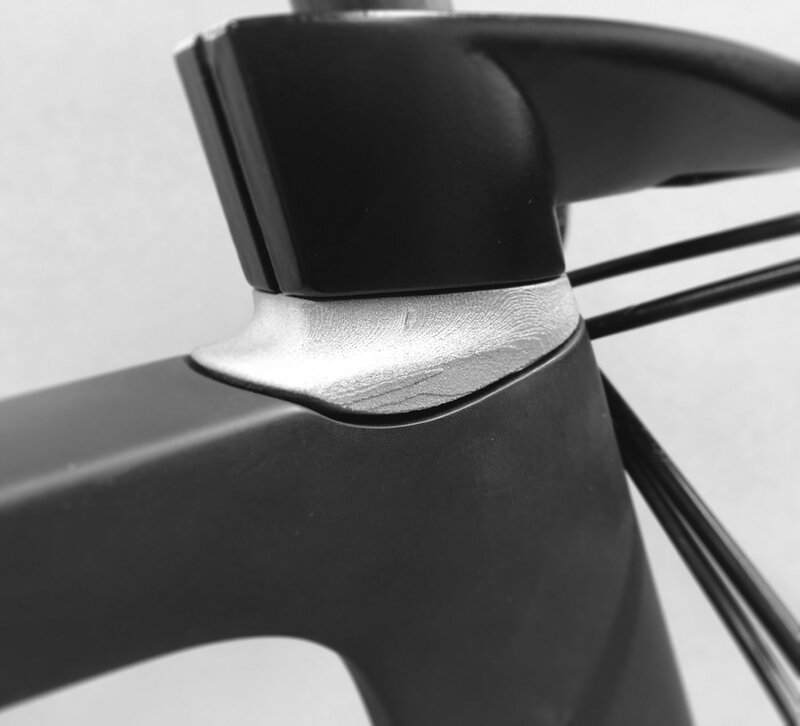 It's the best indicator of a frame's aerodynamic quality. When facing a nice, clean headwind, tubes with a traditional NACA profile will perform just fine. In real life conditions however, you need something better. These new 'truncated' NACA's will perform like a traditional airfoil while facing a straight airflow. But they really shine at angles, by reducing the amount of turbulence which would occur at an angled NACA profile. Less turbulence results in more speed and more control when riding at full speed. 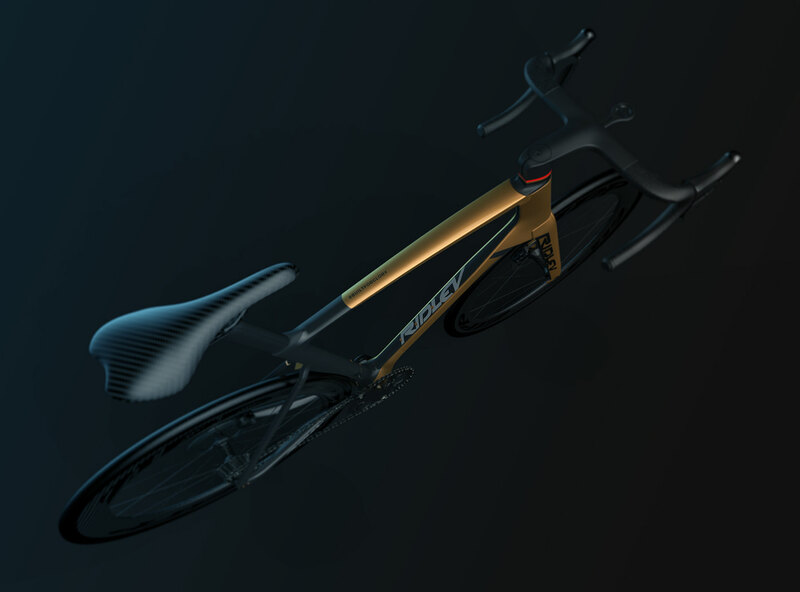 The cut-off aerofoil shape forms the structural baseline for the bike. At speed it easily guides airflow along the optimized aerofoil shape, but it is lighter and has more structural integrity than a full-fledged NACA-profile. The F-Surface is a signature Ridley technology. It is the application of a textured surface, an aerodynamic tripwire, in strategic locations for decreased wind drag. What these subtle grooves do is create a tiny turbulence which causes the main flow of air to follow the shape of the tube more sufficiently. 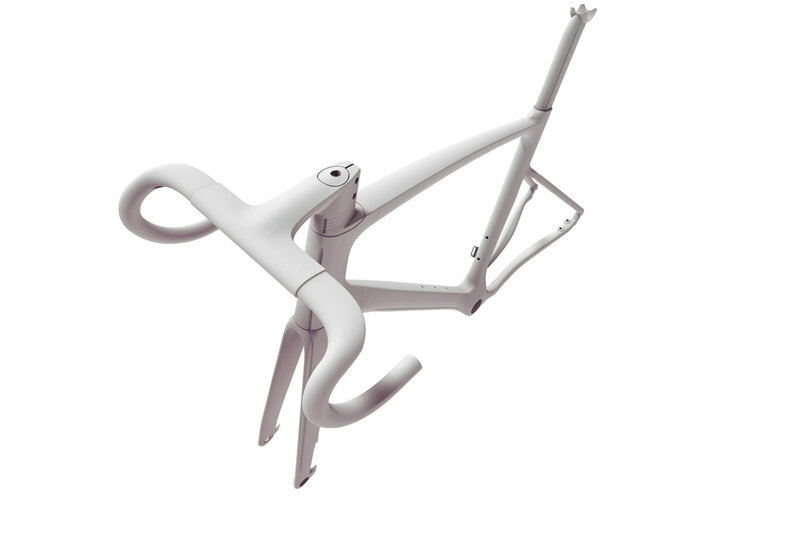 With a smooth air travel around the frame, wind resistance on the rider is minimized. The stronger the wind, the more you will feel this technology working. The Noah Fast is pure and without clutter. 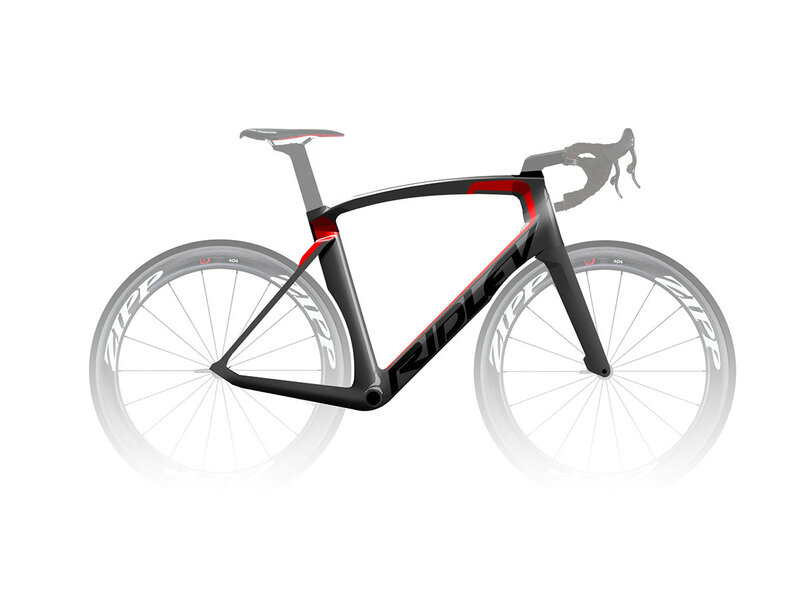 This makes the bike beautiful to behold, but it also reduces aerodynamic drag to a bare minimum. 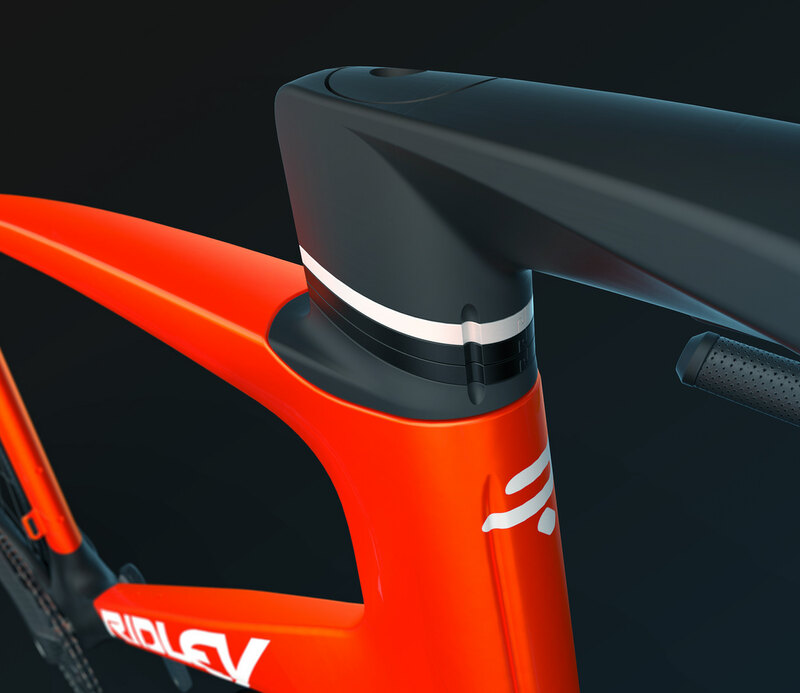 There are no visible bolts and all cables are integrated within the frame and handlebar, thanks to Ridley's D-Steerer mechanism. The design direction chosen during the concept phase was a good starting point. However, it took countless hours of drawing, modelling and reviewing before a final design emerged. 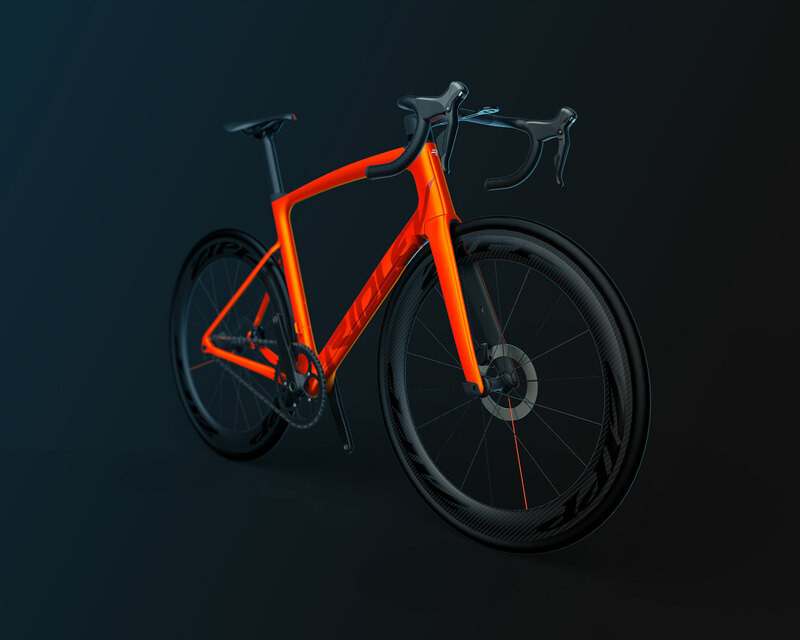 Three major drivers dominate the cycling industry: equipment regulations put forth by the UCI , the aerodynamic quality of every detail of the frame, and last but not least: the overall weight of the bike, down to the last gramme. The first requisite for any professional bike is always the UCI regulations. 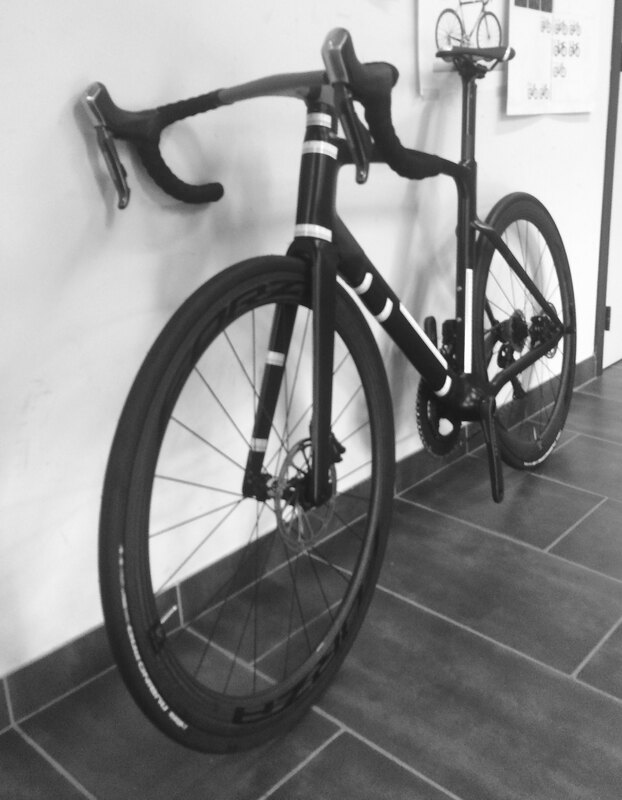 A new roadbike has to fit a tight set of specifications. The most pressing one being that it has to completely fit within a set of bounding boxes. 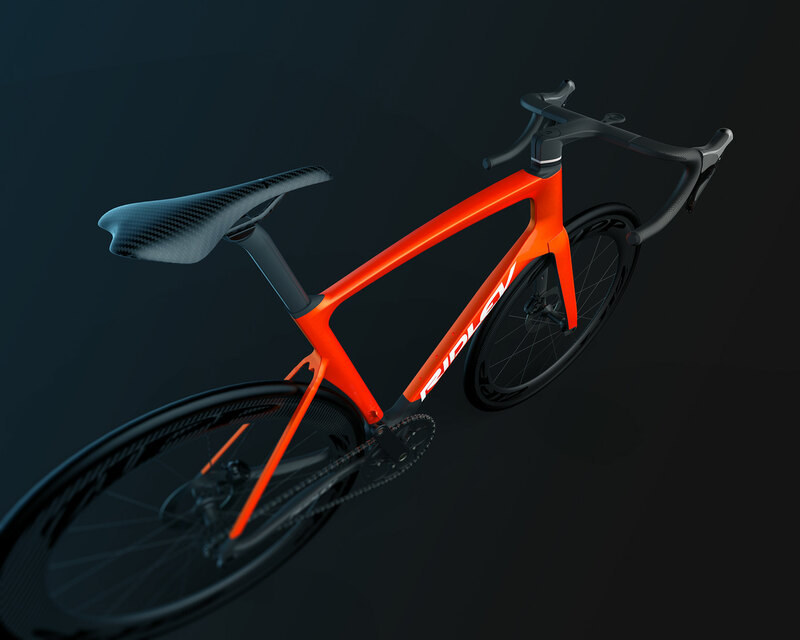 The bike's main design driver is speed through optimal aerodynamic surfacing. No matter where you cut the bike, you will find the truncated NACA profile at nearly every section. 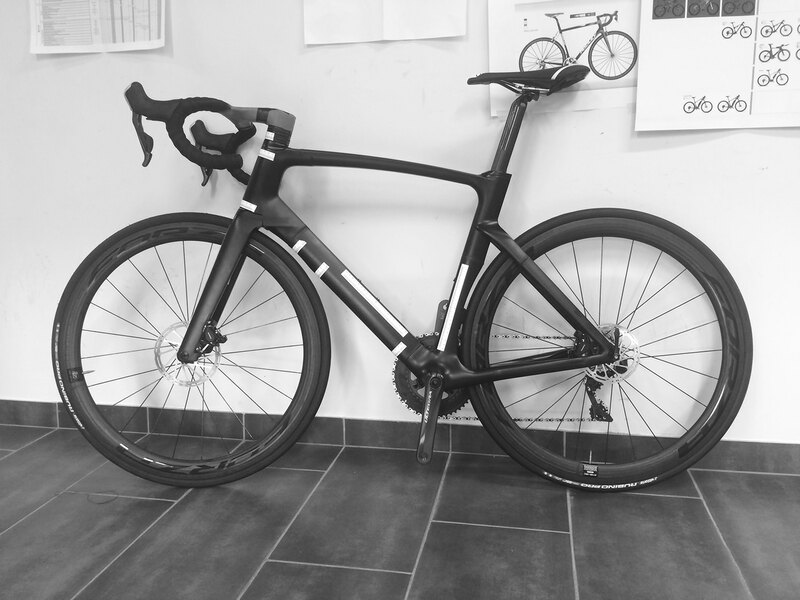 The UCI dictates that bikes (that is the fully assembled bike) should weigh at least 6,8 kg. 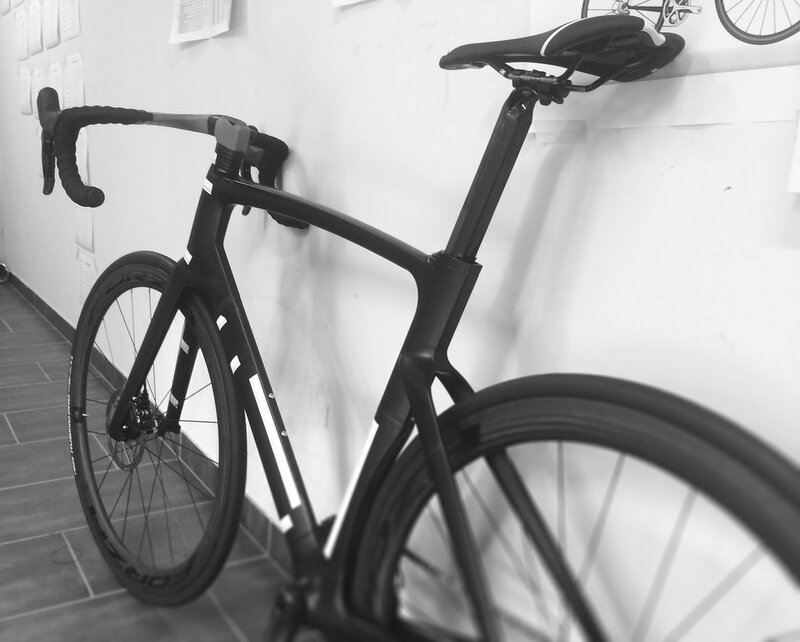 Roadbikes today aim to land somewhere around 7 kg. If the bike's weight should fall too close to the 8 kg, professional cyclists will avoid using it. 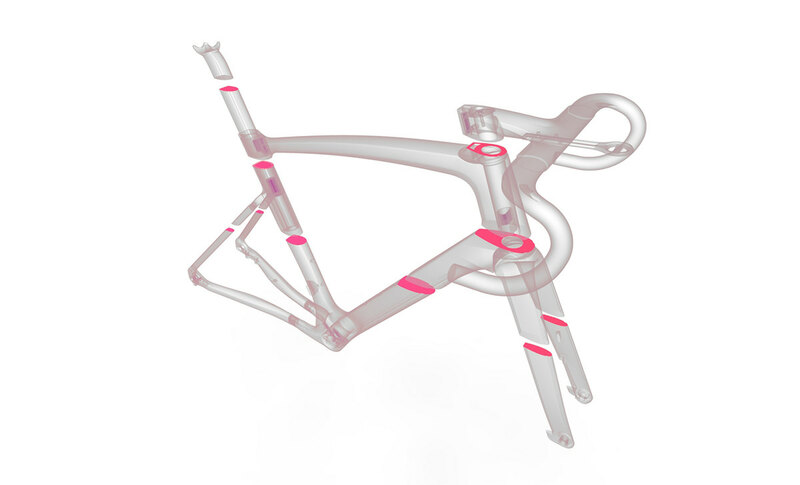 A typical frame only weighs about 1 kg. Needless to say every gramme counts when contemplating design decisions. 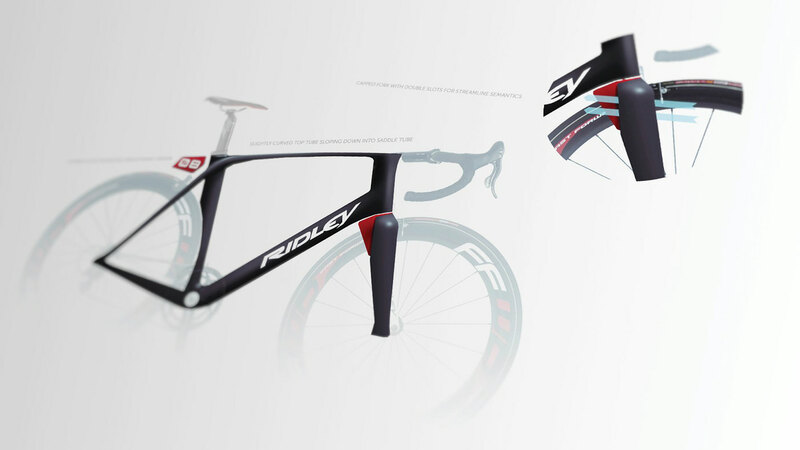 Last but not least, there's Ridley's specific brand language to uphold with a number of specifications of its own. 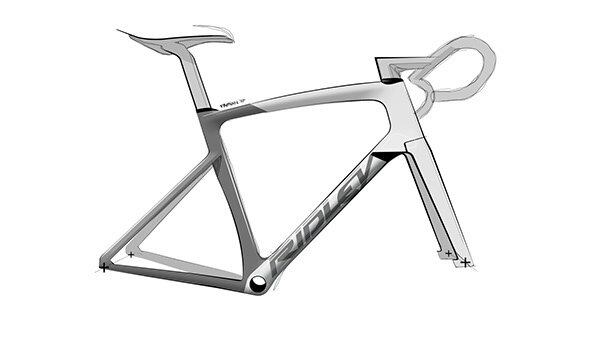 The bike should feel as the next step in the brand's product line with familiar Ridley elements. The eventual design was a mix of elements from different quickdesigns. 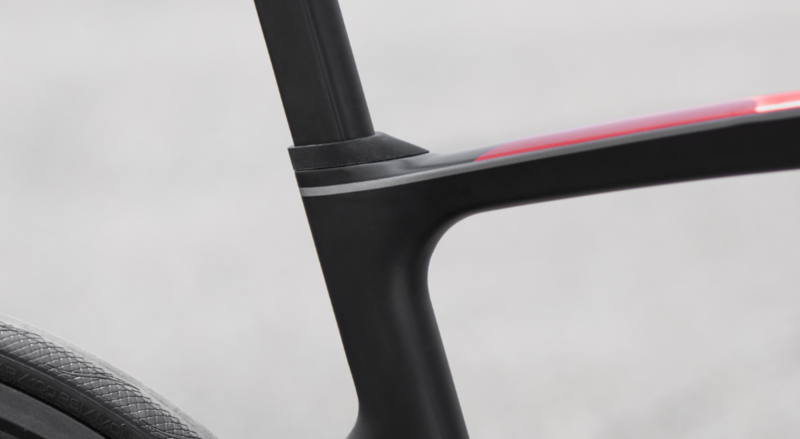 A curved top tube extends from the lowered cockpit into the seat post. 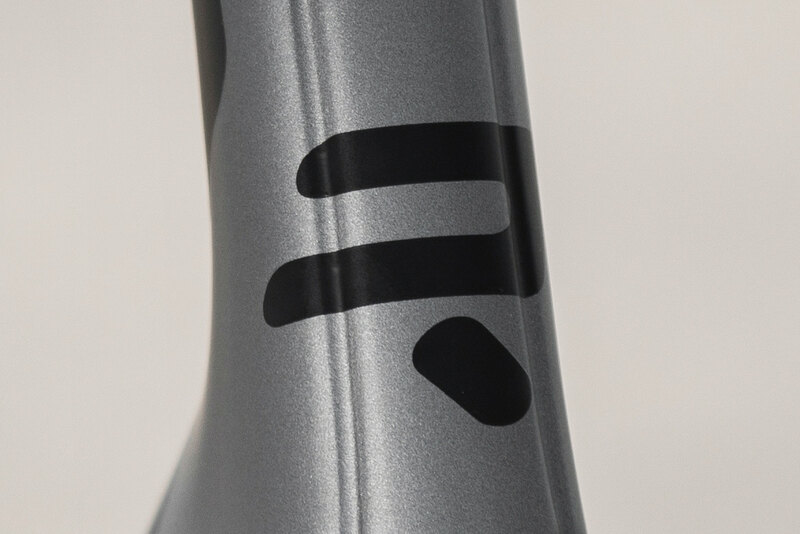 A slim front fork with the new F-wings makes for less turbulence within the wheel hub. 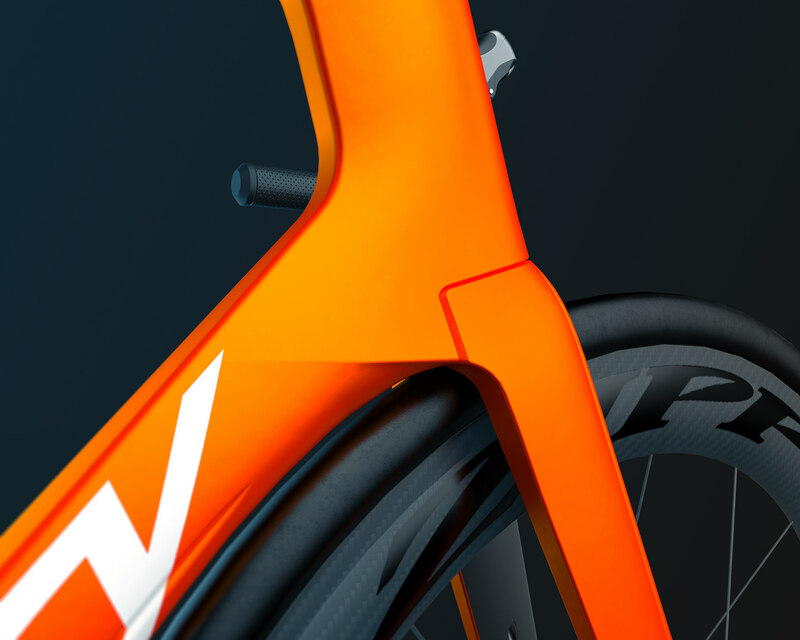 A short rear triangle with lowered seat stays provides faster acceleration while reducing weight. Although the initial design provided decent groundwork to build on, multiple iterations of modelling were needed. Sizes and tube sections change on a day-to-day basis. We decided to contemplate all technical decisions using a quick and dirty 'concept-model'. The model was built rapidly and served as a means for design communication, as well as validation (through CFD and structural analysis). When this workfile was approved for further development, all specifications, geometry and tube sections were frozen and the final production files could be made. Matte renderings best illustrate the incredible smoothness of the bike's surfaces, cut only by Ridley's signature F-surface. The Aerodynamics at play: Truncated NACA profiles and F-Surface Plus at every section. A giant geometry file was kept to constantly monitor every slight change and the effect it had on the overall ergonomics. The XY-Chart below illustrates the spectrum of different setups for the Noah Fast. 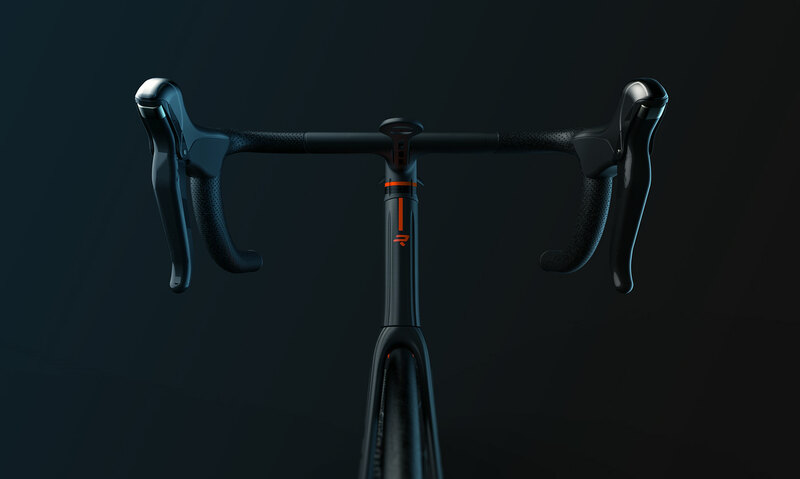 It's a visual representation of the coördinates from the center bracket to the handles, for each frame size, using all different handlebar stem lengths and spacer setups. 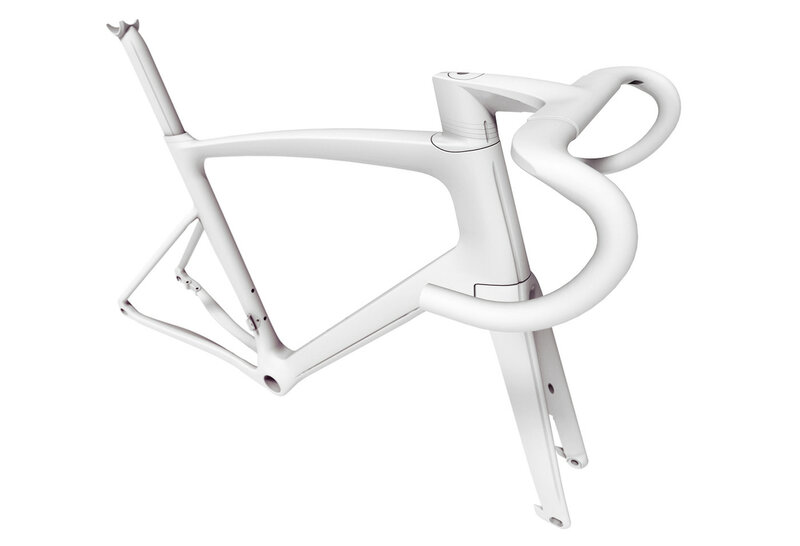 When it comes to designing a professional roadbike -as with most professional sports equipment- ergonomics are key. There is no one-size-fits-all-solution here. No two riders are the same, and every millimeter counts. 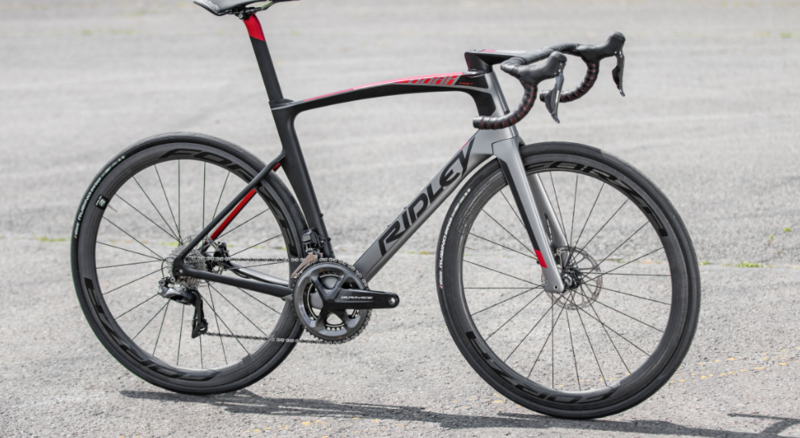 Ridley spans the market using five different frame sizes, three different types of steerer spacers and 6 handlebar stem lengths (each with 4 different bar widths). 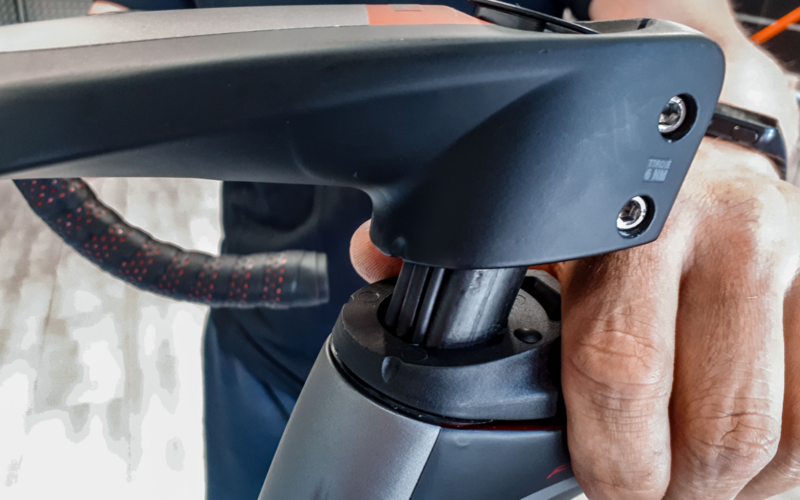 Using any specific combination of these three parameters they assemble the perfect bike tailored to your size requirements. 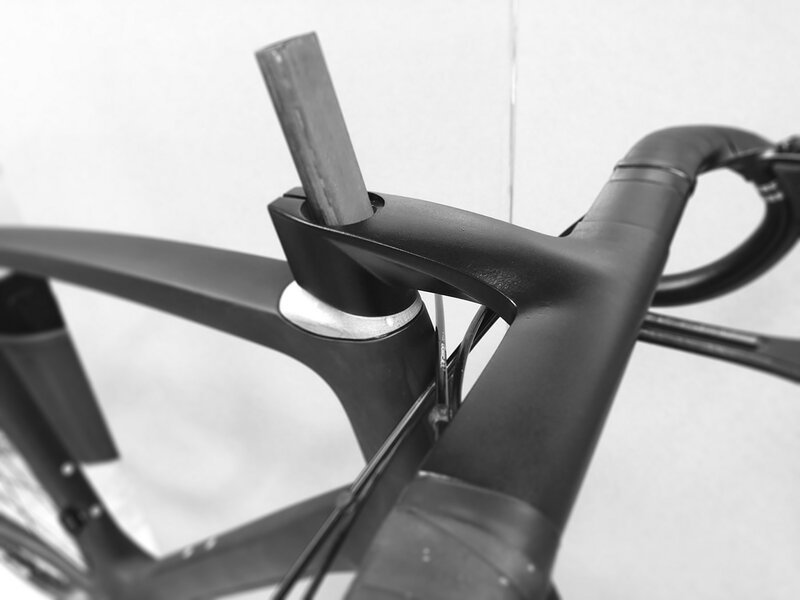 The parts that fill the blanks on the ergonomics chart: 5 different frames, custom cone spacer with 3 types of steerer spacers and 6 different handlebar lengths (each one with 4 width options). Physical prototypes played a pivotal role in the decision making process. 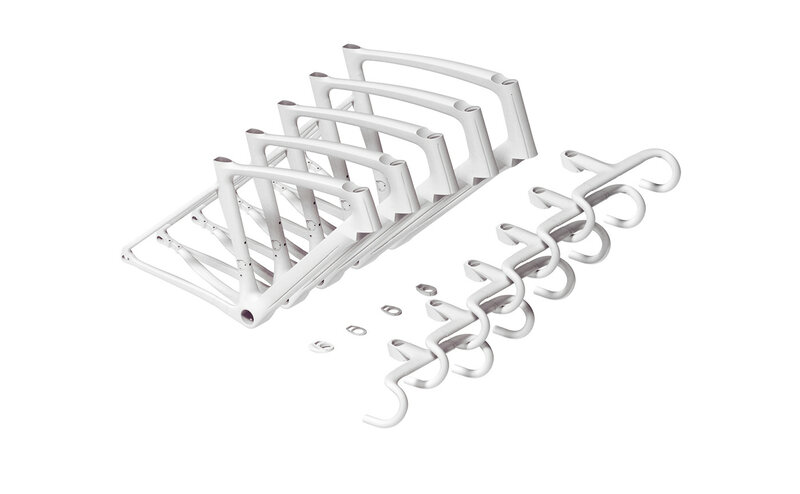 Several true size 3D-prints were produced to ensure that the frames could be tested to the fullest. Clay modelling brought insight for the design of difficult tube intersections and the cockpit. 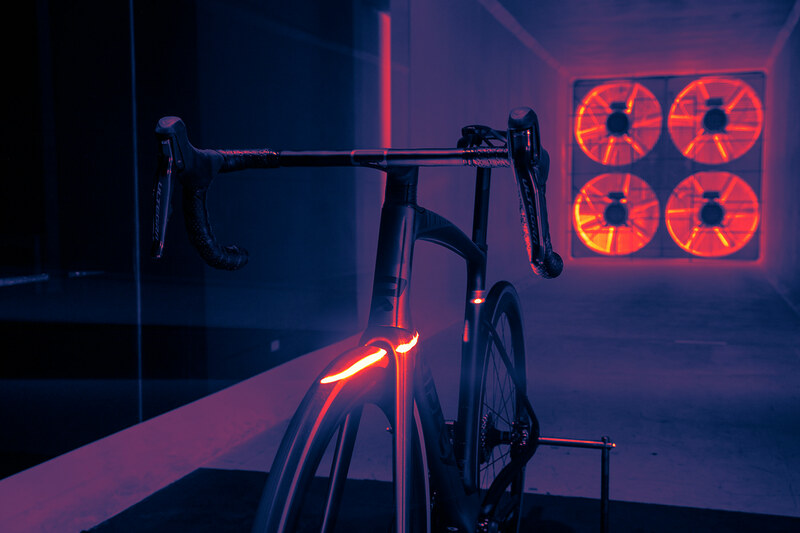 The prototypes were put to the test within the premises of Flanders Bike Valley: an enormous compound dedicated to hi-tech bicycle innovation. Their windtunnel, built specifically for cycling tests, was used to test the bike for weeks on end. 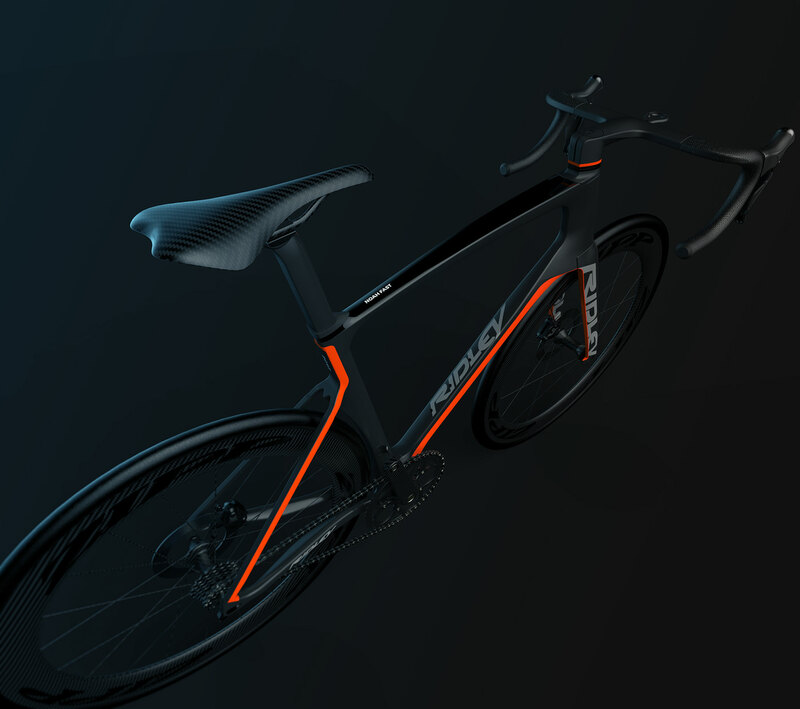 All of this was done in order to get the most accurate feedback on the aerodynamic qualities of the frame, fork and handlebar. 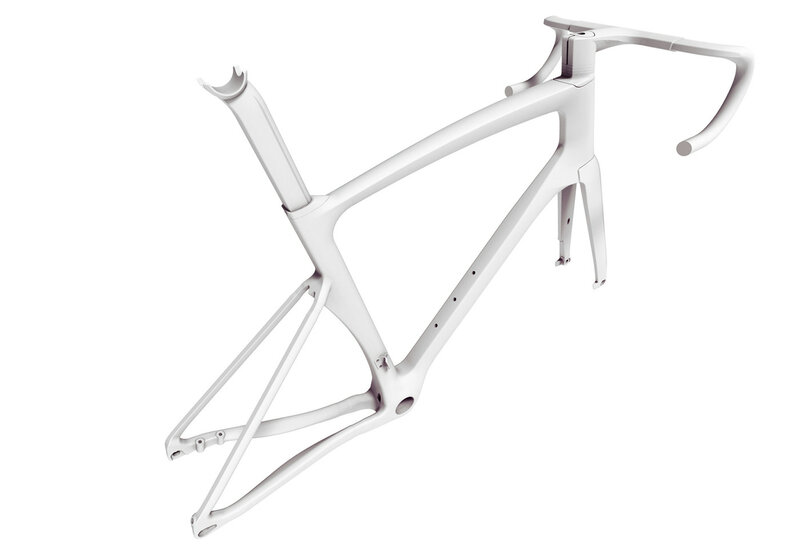 Full-scale 3D-prints of frame and fork. Design is about details. 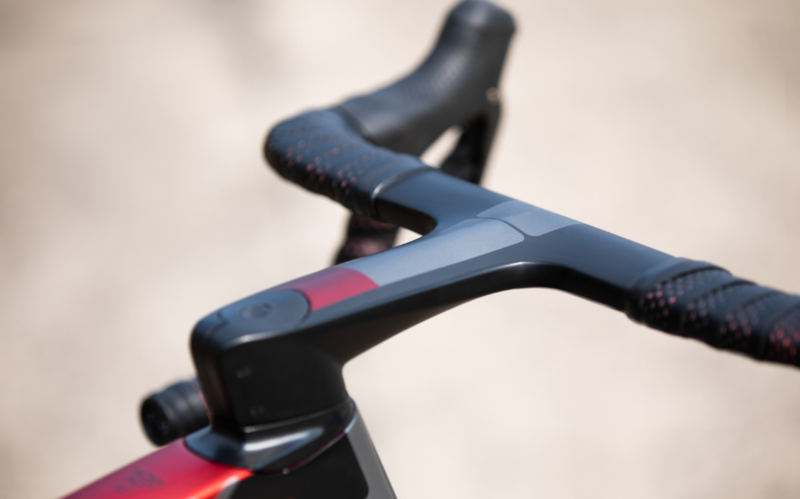 Minute attention was put into developing the small components of the bike, and many, many prototypes made sure that these small fittings would all do their part to the fullest. 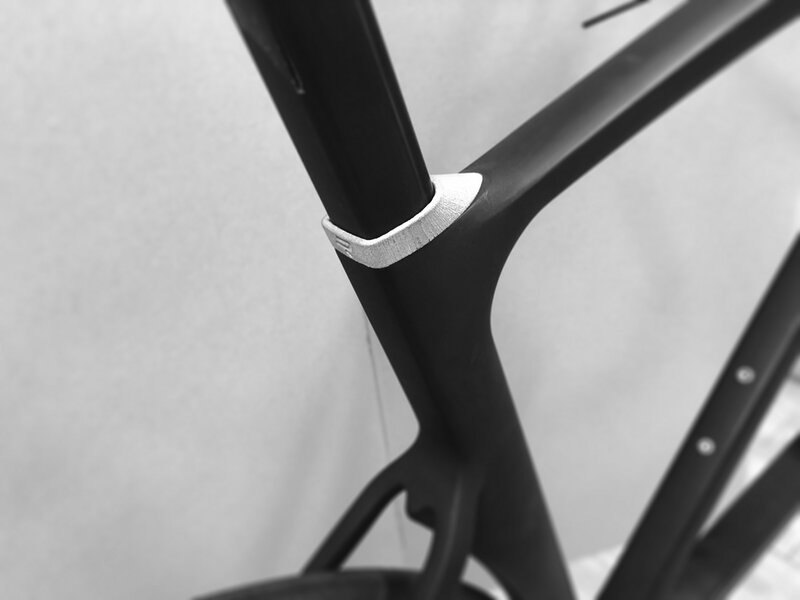 These intelligent, beautifully engineered parts are what makes the design more than just aerodynamic gold. 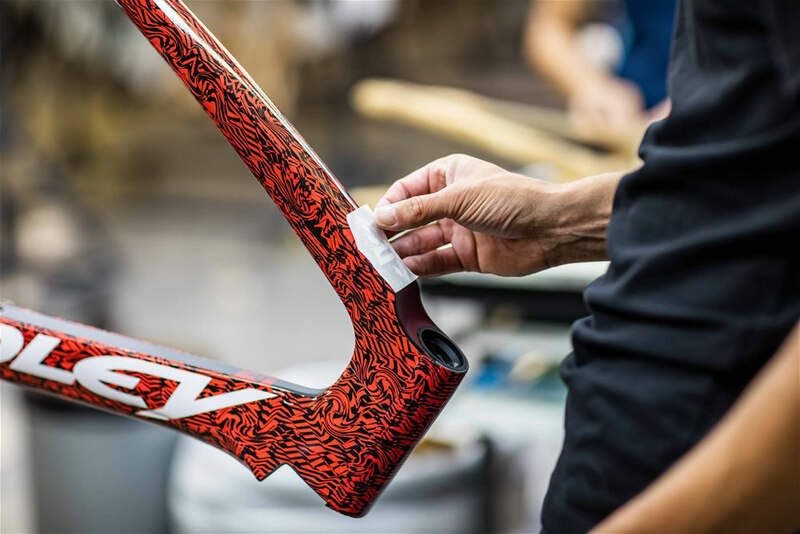 It provides the bike with a level of functional finishing that is as beautiful as it is practical. After many edits and alterations, the design was ready for production. 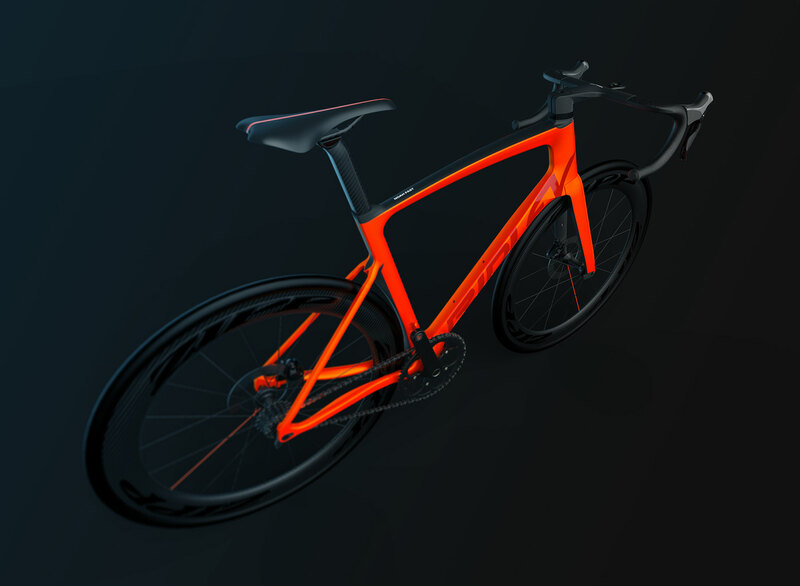 The bulk of our work was now done, and this gave us some time to produce first renderings of the fully assembled bike. 3D visuals are also great tool to explore different paint schemes and material finishes. Even before development started, simulation played a pivotal role in decision making for the Noah Fast. Voxdale are experts in Computational Fluid Dynamics. Throughout the process, models and design options were continuously tested. Hundreds of NACA profiles were explored, different blends, odd-sized wings at multiple locations, the addition or removal of Ridley's F-surface at various blends: all options tried and tested. Digital Particle Study on the almost-final version of the Noah Fast. Computer simulation helps us predict how a product will behave under real life conditions. 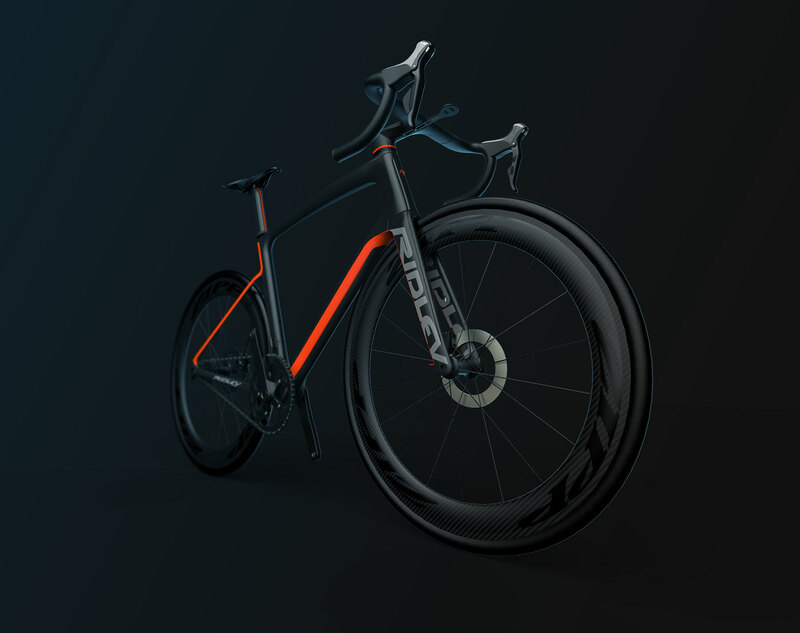 To verify that these predictions are accurate and specs are met, the bike has to be tested in a real life windtunnel. The facilities of Flanders Bike Valley -of whom Ridley is a founding partner- house a windtunnel, specially built for tests with cycling-related products. 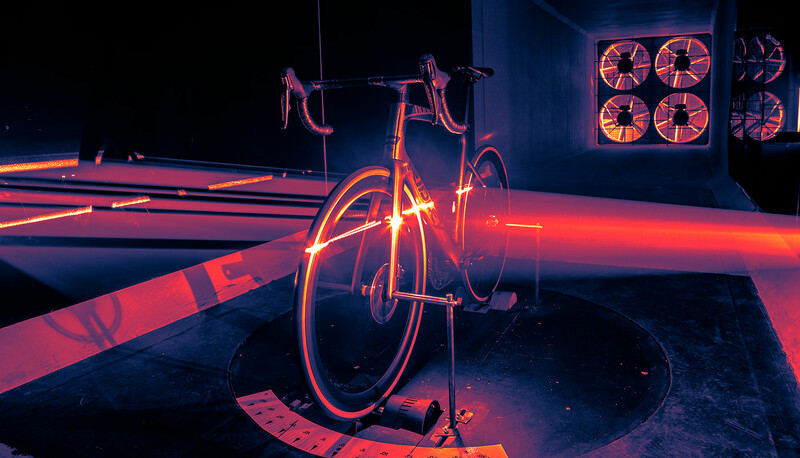 Shown below is a PIV-test on the final bike (Particle Image Velocimetry). 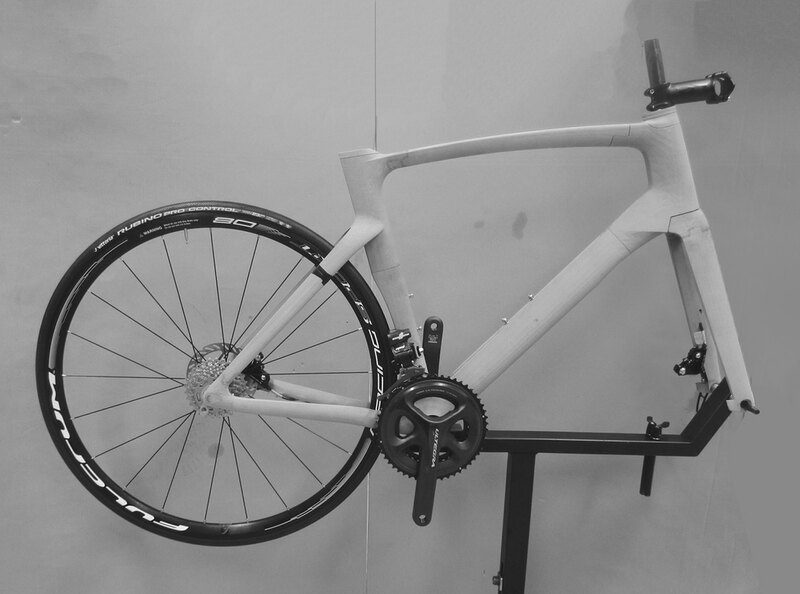 Other tests were issued on earlier prototypes as well, using printed parts and clay modelling to sculpt and modify the frame for optimal efficiency. The Zolder Circuit in Belgium served as the initial proving grounds for the production version of the bike. 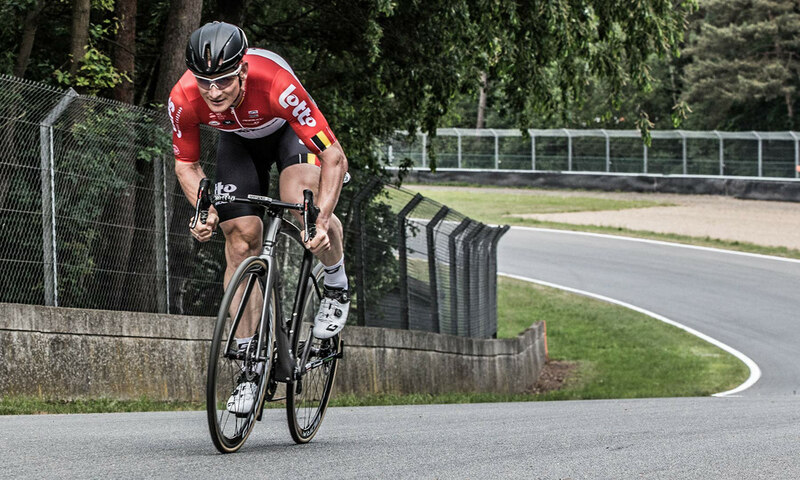 The entire Lotto-Soudal team rigorously tested the bike to its fullest potential. 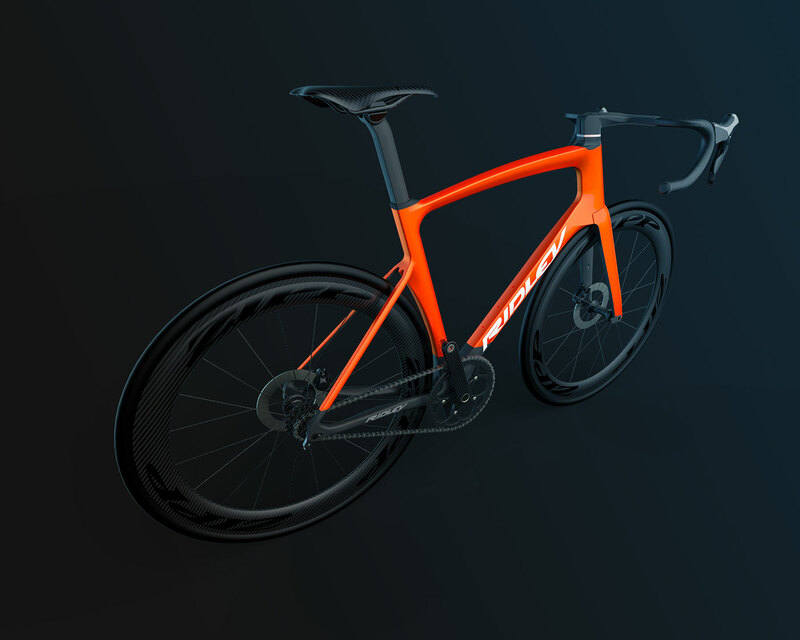 First on the circuit, and later in the Tour De Suisse 2018, leading up to its eventual release to the public in the Tour de France 2018. The colour scheme of the Noah Fast was not part of our project, and was subsequently done by Ridley's graphic department. At their request however, we made some quick variations on the bike's colour scheme and stickering layout. 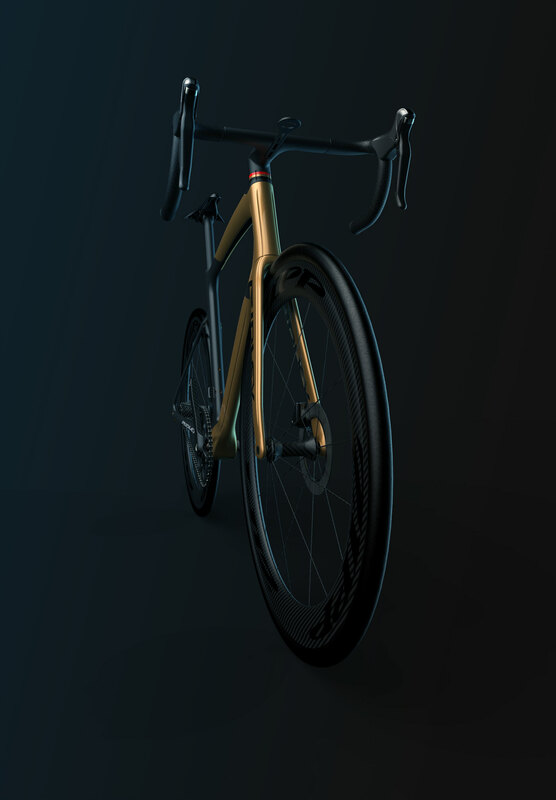 The following images are our own take on the bike's colour scheme, designs labeled respectively Black Ops , Gold Pursuit and Red Rival. 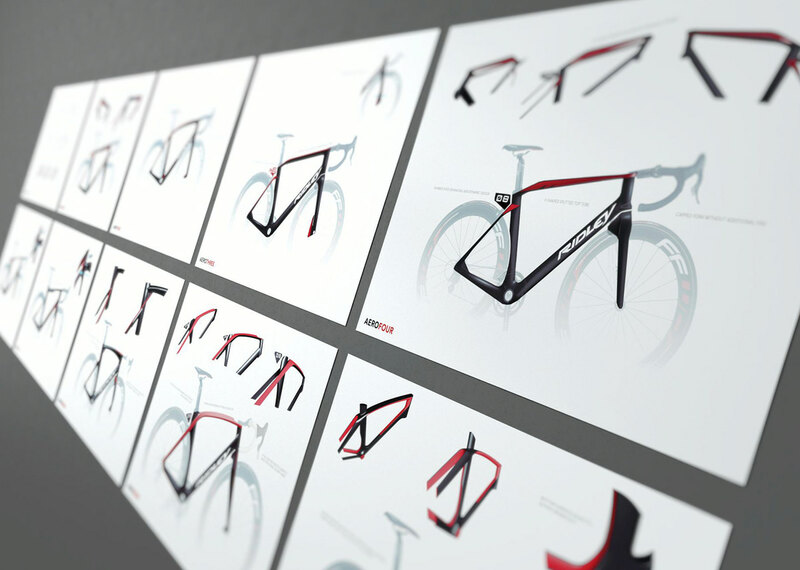 These are conceptual drafts, and are not currently available on production bikes, but who knows... they might be in the future. 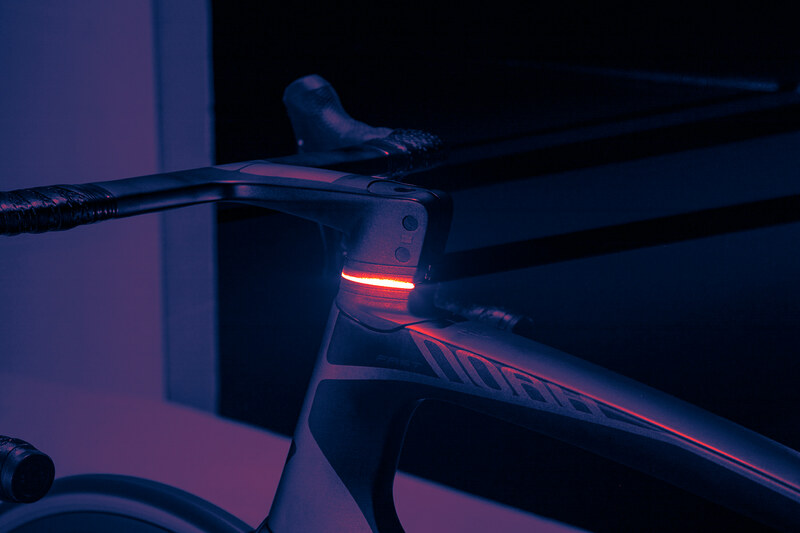 The final product was tested extensively at the Zolder circuit, before it made it first public appearance in the Tour de France 2018. 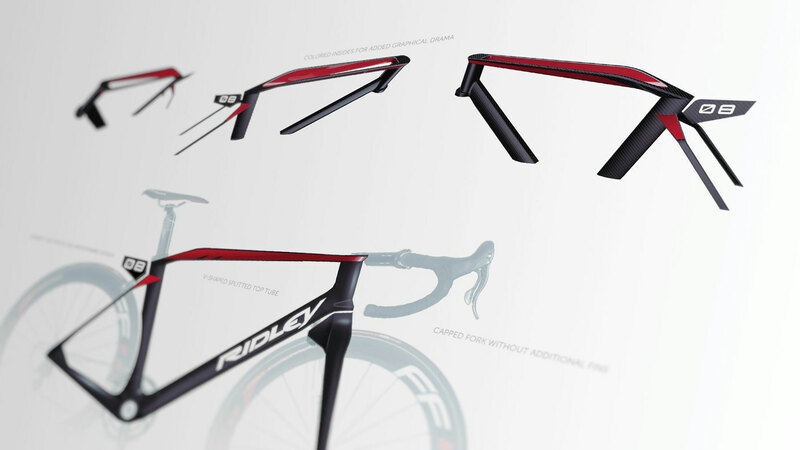 A detailed look into the design process of the Ridley Noah Fast, the most aerodynamic bike ever built.